Who than can be saved ? During his short life on earth Jesus talked about Visitation, Tribulation Heaven and Hell. He also talked a lot about Salvation, which dependent on the context could have meant earthly or heavenly. He left behind no definite scripture and referred us to the Holy Spirit and the Apostles. The church got dispersed and grew independently in geographically isolated pockets. Scripture was written down around the year 70 AD which coincides with severe persecution and the destruction of the temple. From 140 AD onward a small Canon was compiled and by around 400 AD we arrived at the type of Canon we nowadays use in our Bibles. My point is that the precise definition of salvation has been left unresolved by Jesus and the apostles and has remained a contentious issue up to this very day. So the classical answer remains What is impossible with man is possible with God ! Click on more to see links covering the wide spectrum of beliefs that stem from attempts at interpretation and disambiguation of the bible. by Walter from Melbourne , Australia. I believe it is not fair to wreck peoples faith. We should not over-emphasise the Mormon Dilemma and tear down other peoples faith without offering a better hope first. The Group that runs Adamsroad have recognised the Xmo Dilemma very well. We have left the LDS church with a clear concept of Christian testimony and historical and social proof for its veracity. I respect those LDS members, especially from Utah who wish to stay LDS and proclaim the Gospel Jesus from within the LDS church and live out relational transformation from where they are planted . It will be a very long path for the LDS church to give up biblical unsustainable doctrines. I regard the LDS faith at best as pious hyperbole and biblical extrapolation. That started me on a search for #aBetterFaith that is #truthful & #trustworthy. Do you know the Jesus of the Gospels ? He said I am the way , the truth and the life - John 14:6 - He also said I am the light (John 8). Don’t tear down the Mormon faith without offering a better alternative first . Watch Todd White #ActsNow bring social verification in our time to the miracle claims of the Book of Acts. Labelling Mormonism as polytheistic does not mean equalling it with paganism in the classical sense of ancient fertility cults which where based on simultaneously worshipped multiple pre-Abrahamic historic deities, which was rejected by Judaism. The only way I could say NO, Mormons are not polytheistic is if I was to narrowly define polytheism as a strictly pre-abrahamic form of non linear pagan fertility based theism. Mormonism is very distinct from that, for example it does not accept temple prostitution while it does centre on Jesus Christ and the bible, just from a Mormon angle based on additional extra-biblical contradictory revelations. Mormon polytheism follows a lineage reaching from pre-mortal eternity to post mortal eternity. Can Mormons be Christians that qualify for heaven if their hearts and conduct is right and their feelings are cantered on Christ, Grace and the Holy Spirit in spite of them accepting heretical doctrines in their articles of faith ? –YES from me, who am I to be their judge. Do I share the historical gospel with them ? YES, but conviction is the work of the Holy Spirit. Tearing up a Mormons faith before they are ready to receive our witness can be dangerous. Mere persuasion based on historical facts can demolish faith and will not automatically make converts as their new skills in critical inquiry will be unleashed on Christianity as well. This approach can be dangerous with a significant risk of total loss of faith in Jesus Christ. Hence the ministry of the Holy Spirit in the process is paramount. ​​Is Mormonism Polytheistic and hence a religion distinct from classical Christianity ? That, surely, is exactly how Qadri and so many others (even members of America's left-leaning parties) come to function. It is crucial to be able to see and identify this smokescreen if we do not want to throw the baby (opposition to Islamic terrorism) out with the bathwater (whitewashing the truth). Nevertheless, it is vital to expose and to challenge it if we are ever to come to terms with the true nature of Islam as an expansionist, religio-political ideology. The Mormon Church has become a pillar of society and a defender of freedom and the constitution and yet since about 1995 when the internet became really widespread many have predicted its demise. And yet more than 20 years later the church runs steady as she goes. Some disillusionment has set in and a fair share of the members has settled for inactivity, disbelief and nominality. But there are only about 10 thousand activists online and at best a few tens of thousands completely leave each year by having their name removed from the membership record. This is not dramatic. So why is it not much more severe when there is overwhelming proof that the claims of the Mormons to historicity of their scriptures are being baseless ? The simple answer is faith trumps facts and facts and truth have been compartmentalized. So why is it that faith trumps truth for any true believer ? It is because as humans we crave meaning and spiritual security. We sense we have an eternal soul and seek eternal truth to remove the fear and uncertainty of what happens after death. We naturally look for a life philosophy, belief system or faith that is valid beyond the grave. We also experience a degree of disillusionment with religion. And for up to a quarter of Westerners materialism is the answer. When we die it’s all over, so don’t worry, case closed. However the vast majority of mankind is either spiritually inclined or agnostic and hence open to inquiry. Our need for spiritual security is being addressed by religions that sell a belief system designed to create spiritual certainty and community. They have discovered the usefulness of apologetics and propaganda and concluded that the end justifies the means. Many have predicted the decline of Mormonism, some have even voiced its demise. They are all wrong. Yes, the internet did create a dent and is a game changer, but it is in no way fatal, because the defenders of a faith system will simply engage the new media as well. It is all about dominance. If you have the money and the will you can win the information war even if your position is inferior and intellectually harder to defend. You will just change the subject to spiritual and eternal values and argue that this is the only truth that ultimately matters in eternity. Leaving the Mormon camp to revert to the Christian camp (yes I am a revert, not a convert) makes it fundamentally easier to defend the base line of my faith and maintain my intellectual integrity while pursuing spiritual integrity. To a larger or lesser degree this conflict will be manifest in any faith system, but for me severity of internal conflicts is a game changer. If you don’t believe me just look at the resurgence of Islam. This is a religion much harder to defend than Mormonism. Mormonism is the youngest religion and it has learned from Islam (70 parallels). Being grounded in modernity and democracy it also has avoided the oppressiveness and extremes of Islam. For many Muslims community matters more than theology, hence they avoid facing the facts, it’s all about values. So in summary my conclusion is that the Mormon church will never fail, because facts don’t matter that much, because salvation and eternal truth does trump facts. And there is always enough spiritual truth to keep going. The only question that remains is does Mormonism have enough eternal truth to continue to thrive ? This is up to the members. Our desire for certainty, security and peace of mind can deliberately be employed to reign in inquisition and balance our desire for certainty against a curiosity that could feed any doubt resulting from inquiry into truth. Church membership at 15.9 million as of December 31, 2016. ​People who believed that the internet will work collateral damage on the LDS church where simply wrong. As 2017 has just started, the LDS church is heading for 16 Mio members and continues to grow nicely with a 1.7% increase of converts and in addition to the converts it records ca 100 000 additional children of record. Stats are available below. The LDS church provides its members with a feeling of absolute certainty (claimed to be divinely inspired knowledge). In Utah it is the most attractive place to raise a family in the faith as it provides rich community programs, personal development and social cohesion. It has a strong missionary force (75 000 people, mostly young) and it has a high fertility rate which is way above the population replacement level. Its teachings avoid any relativism and hence they have a strong impact on its members. So how do they manage to defy gravity by upholding its claims to a monopoly on truth, that is materially unsustainable and do so in the internet age where fact checks are at our finger tips ? In my opinion the leaders and faithful followers succeed by spiritualizing the truth and sustaining authority by dismissing any contrarian opposing facts as incompatible with the truth, which has already been predetermined in doctrine , narrative and personal revelation received one and for all. God (the Holy Ghost) is called to the witness stand. All sermons and articles use brilliant strategic as well as tactical approaches to reveal and conceal inconvenient material truth and emphasizing spiritual truth and values ! Faith in spiritual truth is ultimately the higher commodity if it is found to be in conflict with material truth. Even the 2nd largest Mormon church (RLDS), in recent years renamed Communities of Christ, where able to keep their membership pretty stable at ca 250 000. This proves that even abandonment of an absolute claim to divine truth will not be significantly detrimental to faith and retainment of membership. Hence I believe the LDS church has nothing to fear and will keep its place in society regardless of any inconsistencies it grapples with or not. If a major spiritual revival should break out among other Christian movements, one that is substantially threatening to the LDS church, than it has historically proven that it is capable to adapt and compromise its most fundamental doctrines to secure the survival of its faith under extreme circumstances. The LDS Church teaches that Joseph Smith restored the fullness of the gospel after a centuries long period known as the great apostasy. The LDS Church therefore characterizes itself as a restoration of fallen Christianity and the one true church that exists.In contrast, the Community of Christ has de-emphasized its traditional tenet that it is the one true church and has adopted a viewpoint that all faith traditions can offer a pathway to spiritual enlightenment. Barbara McFarlane Higdon has called the Community of Christ a "unique member of the body of Christ, the universal community of believers." Higdon also suggests that prior claims that the church had been "restored" were tantamount to idolatry. The Community of Christ has therefore moved towards ecumenism and inter-faith dialogue. Nevertheless, the Community of Christ "steadfastly affirms the primacy of continuing revelation instead of creedal rigidity". The Community of Christ's Doctrine and Covenants continues to contain documents that declare that the church is the one true church. Below are my comments on the power of a recent sermon titled "To whom shall we go" designed to sustain the unique faith of LDS members in its leaders and doctrines. I am always looking for thought models that may explain Mormonism and came across Trumps bio just recently. Trump had a ghost writer (Tony Schwartz) who coined the phrase "Truthful Hyperbole" for "The art of the deal" to put it in Trumps mouth. Trump liked the phrase and self identifies with it, while Schwartz has regretted creating it later on in 2016 at election time. The book of Mormon and the musical with the same name remain a paradox as well. Truthful hyperbole, what a great way to describe a white lie or convolution with a term that in itself is a contradiction on terms. I can see some parallels in Donald Trump's and Joseph Smith's personality type and relationship with the truth. On a smaller scale we face some paradoxes with the Book of Mormon Musical (BOMM) as well. Amazingly in our "enlightened" 21st century such paradoxes are still alive and well. For example the highly acclaimed blasphemous musical (video) attracts LDS advertising and makes converts. Check out this post ! and watch the converts testimony on youtube here ! I love the theme and music of the musical, but found the cursing intolerable, hence I will have to give the musical a miss. All lyrics & music are online here on BOMlyrics. What if God is still as real today as he was real in the Apostle Paul, who has become the most transparant and authentic incarnation of what he taught "Christ in us - the hope of Glory". The most Christlike person and influential Apostle that defined Christianity in scripture was without any doubt the apostle Paul. For a reality check I recommend that we look at the best of modern Christianity. There are the Mormon Apostles, good principled man, but lacking the Charisma of Paul, there are tele evangelists that got famous and rich - do they resemble Paul and Pauls Jesus ? And there are less known leaders that are extremely sacrificial and charismatic. Check them out on Video (click on pic). After finding doubt that has morphed into a new certainty that Joseph is not THE MAN TO BE PRAISED and with a desire of Keeping the Faith where do we turn ? May I recommend Beyond Mormonism - the book - Read it online here ! Reviews here ! As a double convert I have based my conversion on the promises in scriptures (if we lack wisdom and are willing to do Gods will, we shall know by revelation). Getting it wrong results in severe distrusting of self, others and even God, which is not a smart thing and very counterproductive to faith and joy. Hence what I have learned over the years is that it is important to match the word (bible exclusively) with subsequent testimony and that is where I have been going wrong in the past. As Mormons we where told Christianity has been corrupted over time. But I have to say so has Mormonism and I suggest that the earlier Christianity is still far more trustworthy than Josephs Smiths re-writing of religious history in the name or restoration, which actualy is rather revisionism that has opened the door to Masonry and more. We all know what Jesus has said about secret societies. Admittedly Christianity is not perfect, has had to go through a reformation and is still twisted in part, but it also still produces faith leaders that not only invalidate the LDS claim to a Holy Ghost monopoly, but reproduce a character and charismatic Christlikeness that simply isn't matched by any of the most prominent LDS leaders (Q15). And having transitioned back to Christianity let me testify that there is more fulness and hope in basic Christianity than in Mormonism. And who says that we Christians won't have forever families without the Mormons (I recon that is the biggest draw card of Mormonism). So here is part of the fulness of the Christian contributions to our time. A link to a recent presentation by YWAM's Fred Markert, which he gave after Trumps election. It's very interesting ! Few leaders speak up on sensitive topics. Conditional hope is what we need in our time. Richard Bushman, a faithful practicing Mormon (LDS Church) and scholar has been transparent enough to speak about how he has come to terms with research and faith. In an interesting AMA session of 2013 Richard distances himself from the term mystical testimony. Nevertheless in my opinion for lack of a better term this is in my opinion still the best term to describe his position for keeping the faith while steering away from an absolute literal faith. The demystified naked facts bring about and new orientation towards the mystical truth hidden in the myth. David Hogan is a radical preacher, leader and missionary. His ministry has a PO Box in Texas USA and he owns a ranch in Mexico where he has 20 staff to run his missions and outreaches in Mexico. To us he is known for his preaching trips around the world and after some 30 years of ministry his stories have reached a level of fame and controversy as well. Because my friends like him and trust him I took notice and did a little research on the internet. He surely polarizes his audience. with regards to his character as well as his teachings. He is either seen as the real thing or a pathological liar and possibly he may be both, that is his zeal for the gospel is genuine while his methods are deceptive at the same time. No doubt he is a radical or zealot and at the same time he is known for tall stories and a level of self aggrandizement. He appears to have the loyalty of his children that serve in his ministry while at least on dissenter has gone public. I am very uneasy with David Hogan's tall stories, but do admit that he is out there doing something in the trenches (and I am not). Hence I will leave judgement on his mandate as well as character with the reader. I have posted both friendly and critical voices in the Link reference (click on more). Friendly voices point to a visit at the freedom ranch and Davids mission results in the tough unreached Mexican outback. Critics point to David's flawed theology, tall claims and lack of substantiation of claims. And there is a damaging insider report titled The Remarkable Exploits of David Hogan. Rolland and Heidi Baker who have ministered alongside David Hogan and whom I trust have not been swayed by my concerns regarding Davids claims and prowess, because they have seen similar miracles. But the key issue is that the Bakers results are visible online and have materially been testified by many others. It was a Book of Abraham (BofA) review at a time of increased emotional distress that led me to the pursuit of a better hope ! Mormonism is not the ultimate gospel as it claims. In 1972 I left the Lutheran State Church in Germany following my sister and mother to become a Mormon convert. I can't remember if I knew prior to my baptism that the BofA is very controversial. But by 1977 I was aware that the BofA was mystical & mythical, but I have let PHD Hugh Nibley persuade me that it must be true, because so many parallels in historical documents confirmed it's ancient truth. Six kids later in 1995 I read The BofA review from the Christian angle and was appalled that Smith had accepted a pagan Egyptian deity (Ammon) with a phallus (erection) as the God of Abraham. Dependent on the year of print the phallus had been either included or removed from the BofA. Was this Egyptian Deity the same as the Hebrew YHWH or the Christian God the Father or Jesus Christ ? The whole Bible is adamant on the vehement rejection of fertility Gods. We have also realised that being close to Jesus was regarded sectarian teaching and hence our spiritual life was very much LDS conditioned and otherwise rather shallow. So when the Idol of Joseph Smith crumbled and his character became severely compromised in our eyes there was no other leg to stand on in the LDS church and hence we left. I wished we had Wiki in 1972. Our hope was that the LDS church would come clean so that we could stay united as an extended family, but all hope has been dashed by now. Consensus reality in 2014 is that the fictitious BofA remains inspired scripture BECAUSE TODAY's PROPHETS SAID SO ! Let them eat their cake and keep it, but we won't partake of the fruit any longer. We had to break and restructure our covenants to only point to Jesus and Father God and the Kingdom of God in general as opposed to any particular church. Hence most of our donations now go to the poor, rather than Churches. I think that was Jesus idea of tithes. We are back to reformation style Christianity Sola Scriptora and the general priesthood of all believers. Exclusive Salvation dispensed by any Church authorities have failed. Smith: Represents God sitting upon his throne, revealing through the heavens the grand Key-words of the Priesthood; as, also, the sign of the Holy Ghost unto Abraham, in the form of a dove. Scholars: "The form of Ammon, with a bird's tail, or Horammon (?). An ithyphallic serpent, with human legs, offers him a symbolical eye. This last figure has certainly been altered in the hypocephalus of the Mormons." The Big bang and the Ex Nihilo Creation can now co-exist for some scientists, such as Hawkins. But lets say honestly we don't know what the mathematical probabilities are, so for from that angle its a toss for me. Otherwise my belief tells me its a 99:1 in favor of creative intelligence at work (God). But we now know that humanity and culture are older than what the Bible says and physical death is older than Adam and Eve. So how has Religion evolved ? It is a regional development that would have given us multiple religions of which few have survived and one particular narrative in the west has been anchored around a man and a women thought to be first. Written and oral memory could simply not reach beyond the marker 4000 BC. Good and evil exists and it had to be experienced and explained together with the spiritual forces divine and diabolic that interact with man. You are giving them false hope. Yes, but False Hope is better than no Hope. Mormonism has given us false hope or at least false certainty. But false hope feels better than no hope. But getting rid of false hope now is a blessing, because we know we need to find true hope and have the opportunity to seek it now. The other thing that has become clear is that how much my testimony always was borrowed and has actually been somebody else's testimony. That deficit needs to be addressed now before it is too late. This has come to my desk. Pastor Apollo Quiboloy claims to be the appointed Son of God and draws 6 Mio followers, mainly in the Philippines. Maybe Smith is not that unique after all. Check out Apollo's wealth and toys as well. Yousef takes a very courageous stand. He loves Muslims but opposes Allah, Islam's theocratic God that inspires Jihad and atrocities against infidels (such as Dissenters and Christians). The tolerant view of the more moderate masses enables Hamas' terrorism and their true is not only to wipe out Israel, but to create a radical islamic state. For my atheist Exmormon friends. I was just watching Letters to God based on a true story so I thought we could apply that to Mormonism as well. Why do I belief that ? Jesus has embodied the Devine more than anybody else in this wolfs and there are people living today who by the power of the Holy Ghost embody the same love and impact to change the world and inspire for eternity. Mormons do not know. They believe that's all. Same is true for all humble atheists. Watch the epic LDS movie Joseph Smith the prophet of the restoration and then watch the oppositional Christian view point here. The LDS movie starts with Josephs visions in the 1820's and ends with the 1846 exodus of 70 000 LDS followers to SLC. What is the truth and which movie is more credible ? Comments are disabled on the LDS version of truth, but not on this derivative. What becomes evident is that Joseph was an innovator that has created a new religion that he and tens of thousands could believe in, but unfortunately it is imaginary, mythical a dream and Joseph while being genuinely spiritual he has been very much mixed up and has had severe character flaws. The said thing is that nobody except a few scholars are actually willing to leave propaganda aside and tell the story truthfully and as balanced as possible. There will always be spin, be it Mormon, Christian or Atheist. We see what we want to see. Those however who believe that Mormonism is finished thanks to the internet should do a reality check. Growth rates have slowed, but are not Zero, not even in Utah. This is an informative and hard hitting video and I like most of it and am with you, but the tone seems to be a bit too aggressive to reach insiders, but may work well on outsiders. Having said that I do agree with the conclusion and most of the content. (1) How many LDS Scholars and Leaders have you reached in the last 18 months, assuming this is a late 2012 production. (2) How are you doing with reaching a crowd of potential new converts of 300 000 pa ? (3) What is the impact of your ministry on (a) resignations and (b) new converts in Utah ? Growth and membership numbers No better than JW's pr 7D Adventists. Ghana - Compare growth of Sole Truth American Denominations. Jonathan Streeter has written an interesting article about Pr. Thomas Monsons Testimony, suggesting that Lawyers have assisted. In any case I agree, the LDS Leaders are not Stupid. My belief is that they have quietly redefined Truth and the residual Truth for them is that no matter what the Mandate is divine and most of Mormonisms essential doctrines or at least some some of them are inspired regardless of the historicity of BoM or BoA. If there are problems then Joseph Smith was simply God's Ghost writer who took poetic license. Interesting is that LDS leaders have judged the first century church very harshly claiming they had lost the mantle and the Spirit. So Jesus ultimately left the church orphaned. So to declare the work true the LDS leaders could mean anything that sustains their exclusive apostolic mantle, such as . . .
Atheism is a negative, but militant Atheism is evil. Having said that there are indeed a few very caring Atheists called Humanists, such as Fred Hollows and Albert Schweitzer and I respect them very much. As a matter of fact I think in some ways they are enlightened believers that have maintained an eternal perspective, but may have turned Deist and lost faith in a God that is personally involved with mankind and in their own lives and just provides the life force manifest in creation. But Atheists can not create. It takes a God to do that. Man cannot at least not yet. If they can and their consciousness survives the grave then they have become God. Science can't demonstrate atheist beliefs by cooking up a pre-mordial soup in the lab and thereby produce the most simple form of one celled life. Random chance cannot either. Its pure magic belief if man thinks he can blow up a place and then see everything fall into place with the most supreme order governing it. How arrogant and deluded can we be ? How many monkeys on type writers and eons will it take to write a play like Mac Beth ? Did I get the secret ? I think its good to know how we may be getting played with the magical method. Even if error is spread in good faith the effects are just the same. The right side of the brain does not discriminate between truth and error. The right side is a parallel processor that seeks to produce beneficial feelings and outcomes. Use body and voice - Scream I demand ! The person who is most certain will always influence the other person. Sounds dangerous ? - beware of others using mind games ! Seeking more the Truth about the Afterlife ? There will be times when it may appear that things are going badly for the truth of God, that the evidence of the world contradicts God’s utterances," Dieter F. Uchtdorf, second counselor to church President Thomas S. Monson, told the audience in Salt Lake City’s Conference Center Theater. "For my part, I have learned to be patient, knowing that, in the end, things will work out." He (God) asks that we have a little faith, a little patience, that we believe. He asks us to seek after Him and believe in His word. It is my conviction that those who disregard the reality of heaven will ultimately find themselves on the wrong side of history. The roads we travel are certainly not guaranteed to be easy or ever-pleasant; but if we keep traveling in the pursuit of truth, they will always lead back to the ultimate truth—they will lead us to our Heavenly Father, who is the great historian, the great record keeper, the great Creator, mentor, and friend. Of this I testify, and leave you my blessing, in the name of Jesus Christ, amen. A "Beyond Mormonism" blog > "a living faith"
by Walter who lives in Melbourne , Australia. I believe it is not fair to wreck peoples faith. While I left the LDS church I respect LDS members, especially from Utah that wish to stay and reform the church from within. The Bible - all or nothing ? In a time of rampant atheism its important we pray for atheists and show them love and respect and engage them in discussions as well. They are our brothers as well. It is important to factor in that human perception of anything including quantum physics is not perfect and does not have to be to be useful to embrace essential truth. That's a concept we have learned to live with both in physics and in religion. So when it comes to the ancients they where teaching revelation concepts to their children the best they understood it. The book didn't fall from heaven. That by no means undermines the concept of salvation, crucifixion and resurrection which was much more observable. Many people ask us why are we doing that ? We are glad you are asking ! God is Love and Jesus is real. That's why we give away delicious free coffee on Friday nights at the Narre Warren train station. We are a group of believers from the City of Casey and don't represent any particular denomination / church. Many believe in an afterlife and a spiritual dimension to our human condition. But for those who don't, please check out these links to amazing true stories of Near death experiences (NDE's), miracles , healings and the best sermons. Is mycause.com.au the way to go for Aussies ? I had the Lord come into my bedroom one time. I was worshipping God. Crying out for his heart (I did that for weeks). Suddenly my room turns into a cyclone and I hit the deck crawled into a ball. He said to me Dan, do you realise I have given you the honour and privilege of loving in my unfailing love. What he was telling me is “I have given you my heart”. See yourself as one with me. Don't come to me as if you are lacking anything. I've put myself into you. Isn't that scriptural? I've taken out the old Adamic heart and given you a heart of flesh. There was a time when I laid on my bed and I said I don't understand hot or could and lukewarm. Lukewarm feels as it is at least half way to hot and not all the way to could. See lukewarm is hypocrisy. I asked the Lord a question. I had never experienced anything like this, On Sat afternoon the Lord comes and on Sat night I front my poor home group. You talk about the fear of the Lord. He said I'd rather you be cold than lukewarm. That's what he said. Because if you're could I can transform you and set you on fire. But if you chose lukewarm you have chosen a middle ground and there is none such. The hypocrite and those deceived by his hypocrisy that have failed to come to me are lost because of hypocrisy. The presence of God was unspeakable. I was in a fetal position. The voice sounded audible, but I don't think it was, it doesn't matter. The voice came with intensity, amazingly real, sounded like yelling, it took me to the floor. Third time I heard it I felt like I would die. I lied there for at least an hour, shook and cried and said YES LORD. It came out of the blue suddenly, but was preceded by an intense desire coupled with diligence in seeking the Lord.Then he was working sincerity in me, commitment in me, discipline in me. His grace was fashioning me because I don't want to be a hypocrite. I was that my whole life (until 33). The visitation came because I don't want to live for myself any more, don't want to be a hypocrite any more and I was there (in my bedroom) day after day, time after time, hours and hours because I want HIM, I was not just saying I want him. I was playing music and praying JESUS I WANT YOUR HEART IN ME. HOW DO WE GET IT ? ASK - a simple request and he answers. When you seek HIM you will find HIM. Draw near to him he draws near to you. That's how it works kiddo. He never leaves you nor forsakes you. Hours and hours of diligence and devotion to a selfless relationship it took. Hold on to him and you will get off the floor changed and become more than you ever where before and you will increase in the kingdom This applies to all things, be it healing, love or whatever. I feel very challenged by Michaels teachings and would love to hear from others who have done the relentless heart course or watched some of Michaels videos online. ​Loosing your life for Christs sake is a sensitive issue. Michael has battled it through and has come out on top finding extreme joy and happiness and now he does not only offer the same to us, but drives home the message that full conversion / transformation is an absolute necessity and a matter of heaven and hell. Acc to Michael and contrary to main stream Christianity Jesus has raised the bar, salvation is a divine exchange that grants absolution and a heritage, but also requires surrender and endurance on our side as part of the covenant. not studied theology and yet he practically demonstrates how the pure Gospel is lived out. What he teaches is all anchored in scripture. He has bared his soul. I have just posted on Michaels facebook page. It's the only place where we can comment, but the link to the youtube video gets deleted by facebook. Youtube comments section is also disabled. Michaels blog has no comment box either. 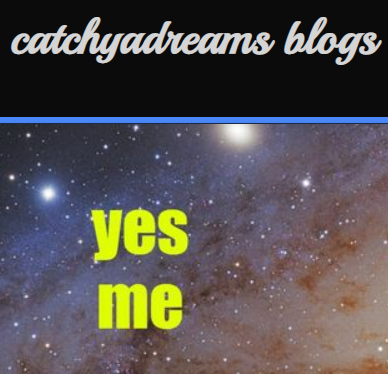 Hence I have set up this blog. So here is the video I would like to discuss. Extracted from the description of Michaels video on youtube ! Published on Sep 16, 2016Christians in PAIN desperately want help for their problems. I have been right where they have been and I understand the desire to fix your life and to find comfort again, but the question we need to ask is this. How does God view our attempts to try to "fix" our life? What if the very problem we are so desperately trying to hold on to and fix is the very thing God wants us to lose? Jesus taught that if we save our life, we will lose it, but if we lose our life and hate our life in this world, we will find it and keep it for eternal life. What good will it do you if all of your life problems end up fixed, but you end hearing, "Flee from me, I never knew you"? Published on Sep 24, 2016 In this message I've imagined that you and I have just sat down for a cup of coffee and you asked me, "Ok Michael, tell me the practicals of walking with God...what exactly did you do, how often did you do it, and what spiritual disciplines did you do consistently? What did you do when the darkness and doubts hit you and were there any spiritual secrets that helped you to find the abundant spiritual life with Christ?